This is a re-run of a previous posting while we gather our thoughts on Philly, which we hope to publish tomorrow. At the time, we found this to be one of the most insightful pieces we've ever come across on Neil Young's concert preparations. 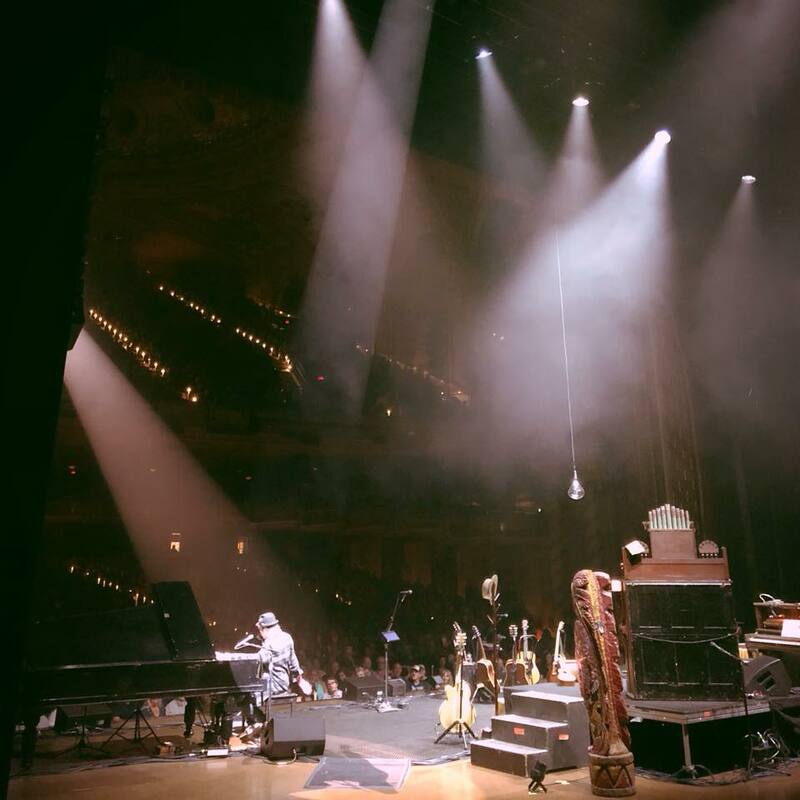 A true behind the scenes look backstage from a musician's perspective of the art and craft of music performance. William Prince was the opening artist for Neil Young's solo concerts at the Wang Theatre, Boston, MA, on Wednesday, July 11 and Thursday, July 12. 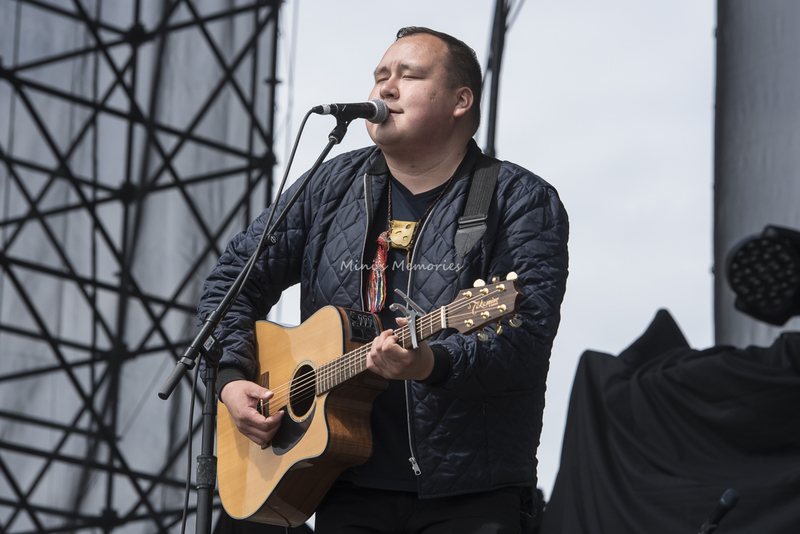 William Prince is a JUNO Award-winning singer-songwriter from Manitoba, Canada. More on William Prince and his story. Here are his thoughts on opening for Neil Young. Enjoy and savor! As I type that, the cosmic dust is still settling. I don’t know if it ever will because you pick-up and keep going to the next thing. I’m on a plane right now to Edmonton. If Neil showed me anything, it’s how wonderful it can be to keep going once the whole thing is yours. I’m so thankful it was two nights. That’s how much time is needed to really process his being and take in the moment. I tried my best to do just that. We have the same agent in the States. The vibrant Marsha Vlasic who I met for the first time. This was my second time meeting him. We spoke a number of times. He was so generous with his time. His crew and partner are the sweetest people. I didn’t ask for a photo because he treated me like a friend and peer. Everything Neil does and says is quotable and photo-worthy. That’s what happens after all that work. He gets it all the time. I was in his house and that’s all I needed. I’ll never forget making him laugh and his ageless smile. 72 years and 100% charming, funny and cool as hell. “You’ve just been offered two nights opening for Neil Young in Boston. Can I say yes?” My manager was delighted and it was only a week’s notice. Of course, I said. A million times “yes”. In the meantime, head to BC to a beautiful resort in Harrison Hot Springs and open for Buffy Sainte-Marie. Calm yourself and prepare. What a show that was. Two incredible icons in one week. I’m playing a lot of new songs lately and that will sometimes take me out of the room to focus. Not this time. I felt every moment. I guess I’m learning the new songs. Buffy was the sweetest as always. She always asks about Wyatt first-thing. Her show was spectacular. She blessed me and sent me on my way rejuvenated with love. We get to Boston. My best bud Adam and I. Future tour manager once I can afford to replace his teaching salary in China. Leave it to me to put him to work on his vacation. I couldn’t stop him from coming. “Yeah, like I’m gonna miss my best friend opening for Neil Young”, he exclaimed. That was that. We did the only thing you can do. Got tickets to the Red Sox and relaxed. I never want to do much before a show. Even after, for that matter. I’m usually alone and satisfied working on songs in my room. I’m glad I had my bud there to take me out to the ball game. It was hot and I was excited as could be suffering from Day 1 of a brutal sinus cold courtesy of my sweet son. Can’t leave for 10 days and not kiss his face a million times. It was worth it. I was up to my usual stuff that day. Up too early and ready to see this beautiful theatre. I read all about it. The history is remarkable to say the least. Wiki: Wang Theatre. Emails, memes, articles, checking on my family. Sat outside the hotel with coffee smoking delicious American Spirits (yellow) until I was ready. Nobody’s heard Earthly Days here. It’s 8 hours til showtime and I’m preparing my set. Earthly Days is always a good starter song because it’s so simple and allows for any last minute adjustments once the show is rolling. I’ve decided that’ll be the first song. We get to the theatre for Neil’s sound check. 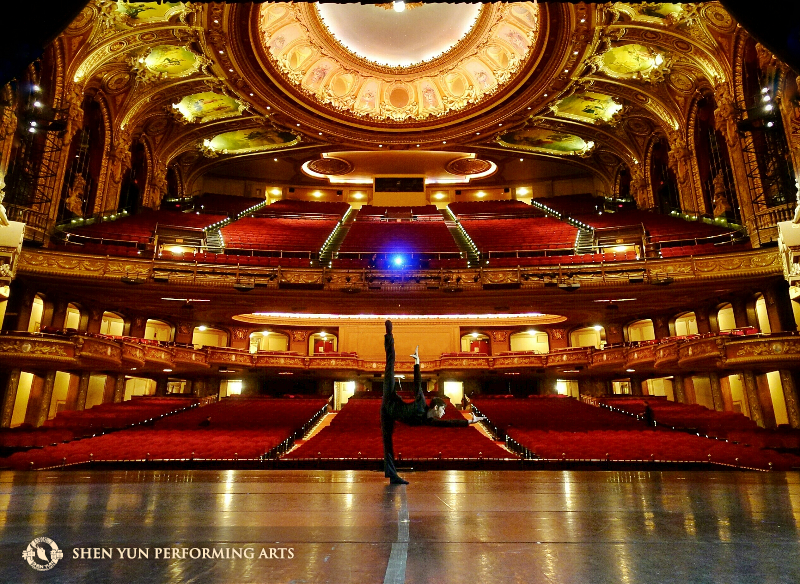 The Wang Theatre. What a breathtaking place. The stage is beautiful. There’s a totem pole. Upright piano, pump organ, two grand pianos, 7 acoustics (one of Hank Williams’ and two from Stephen Stills), a dozen harmonicas scattered throughout. Neil gives history lessons for each instrument and rinses his harmonicas in the water after each song. He wipes them on his pants. Cherries and oranges on stage for a snack during the last half hour of his set. This guy addresses a crowd of 3600 while casually eating an orange. The sound check felt like every curiosity of mine as young performer confirmed. What do you do leading up to the show? Does Neil check his own stuff? Yes. There’s a piano tuner on hand and a crew he’s been with for 40 years. It’s easy, laid back and fun. I watched from afar as not to impede his workspace. Neil plays piano and calls out minor adjustments. I’m in pre-show singer-songwriter heaven. “But only love can break your heart...” that melody on keys will stay with me forever. He played it on a guitar for the actual show. My sound check was great. The crew took such good care. It’s showtime. The theatre is rumbling. People are here and ready. 7:53 PM. “Do you wanna go out 5 minutes early for an extra song? Let us know when you want the lights to go down and it’s all yours”. I took the 5 extra minutes. Lights drop. Theatre erupts and I deliver my 35 minutes. Earthly Days, Bloom, The Carny, Lighthouse, Wasted, Great Wide Open, made up song about Boston, Breathless, done. Off stage they encourage and let me know it was great. Up until the first song I’m still an unknown guest to most. I always love the opportunity to present my songs and stories to new people. Felt like everything clicked and I was welcomed even more into Neil’s camp. The vibe is all appreciation and excitement. I’m overwhelmed. All I can say is thank you. Neil’s manager comes up to me and says “Absolutely gorgeous, William. Breathless is the most beautiful song I’ve heard in some time. How is Neil supposed to follow that?” With all the love in the world. We all have a big laugh. Truth is, I was a little shaky. I know my voice isn’t 100% because of the cold. What you learn from a theatre that size is volume is necessary. My mix was quite loud and I asked for it to be turned way down. People will always change the sound of the empty room. Chatter from the second balcony hangs over you. It’s loud. That many people quietly talking is LOUD. Mental note for tomorrow’s sound check: turn the mix back up. It got better as everyone started listening. Highlight: someone yelled my name when I walked on stage. In Boston, where I’ve never been! Daryl Hannah comes over and expresses the sweetest things about every song. She watched from the side both nights. Such a beautiful person. You can read in depth reviews of Neil’s show everywhere. Every song. “Ohio” gave us chills. I love that he played to the room. It was a quiet show for the most part. Quiet but plenty heard. Those old theatres were designed for no amplification. Neil knows and uses it to command the room. He sang Pocahontas the first night. He spoke about First Nations people with love and as an advocate. He was so funny and interesting. He shares the stories of his songs. The mood he was in when writing them. Where he was. He took his time moving from station to station playing beautiful renditions of every era. He comes back sharp as a razor. This was Neil’s show. Nobody else. The people loved every minute. Humorous, poised, confident. A master class in how to be yourself on stage. Neil Young solo is like watching Scott Nolan in the studio. Interesting stories and beautiful songs while always on the move. I laughed and cried all night. I got emotional at one point. I’ve never been here before. I’ve never seen this. I didn’t expect any of this to happen. I took a moment to be thankful and bask in it. One of many dreams coming true. It felt like Neil spoke to me the next night. He also talked about his dad meeting him at a show in the 70’s in the same theatre. “He took a bus all the way here to meet me. We sat on my bus and talked about old times”. Something about that hit me. Yes, I get to be here tomorrow. I get to do this again! Neil Young knows my name and with that trademark grin threw me a “see ya later, bud” kinda send-off. Night 2 was such a smash. My sound was tweaked and perfect. I was more familiar with what the building was gonna do. I opened with “All I Know” followed by a never performed new song. Felt good to pump up the crowd with something upbeat. The theatre was packed and everyone listened from the get-go. I took the 5 again. I spoke more. The show doesn’t change. All I can do is my show regardless of the building. People ask what I do and my answer is “I sing songs in buildings”. Imagine what weeks of doing this is going to do for my performance and artistry? Every step in its time and place. Neil’s second night was like my first. He was a little more reserved and let the songs talk. It’s the last night of a long run for him. Nobody complained. I might write a book. I think this is one chapter of a book. I think the last three years of my life is one song for the album I write when I’m 50. I hope one day I can talk about a piano of mine that survived a fire and has been with me for 48 years. I’m so thankful to Neil and his crew. I’m so thankful to my crew for getting all this together and keeping me going. I’m thankful if you read this far. We both sang songs. We both shared. We both carry on. Different degrees of the same thing. After all that beauty, art, anticipation and delivery, Neil leaves the people cheering for an encore. He walks off with total faith that they will applaud for 3-4 minutes while he sips his warm beer, kisses the love of his life and tinkers with a ukulele. Watching him BE is a show in itself. I was truly in awe and tried to remember as many feels as possible. Thinking ahead to how long this post would be because I want to share my journey in the right moments. Here’s where he got me. “This song is for my sweetheart”. He plays Tumbleweed and walks off to her. She was his last song. Part of me remembers that feeling and wishes for it. She knows. Someday, I’ll have Wyatt and maybe a wife to sign-off to the same way on the side. I might make 72. It was so great having my best bud side-stage for this one. I really enjoyed every moment and couldn’t be happier about it all. I feel so blessed. I feel so ready to stay the path if the cosmos keeps it going. I’m thankful for my friends, family and supporters of the music. We must speak into existence the things we want for ourselves. Be positive and confident in our destination. I may not be there just yet but I’m growing every day and believing in the best. No shortcuts. Just work, time and perseverance. 7,200 people heard about the Peguis First Nation and learned a bit about my family and I. My biggest challenge is acceptance. This life changes all the time and I pray every day I can do this forever. Whatever the case, my son will get to talk about his dad doing this cool thing some day. Nothing will ever change that now. Songs in buildings and reasons for Wyatt to be proud of me. That’s everything. I’m going to change the narrative and author my fate. I will take the light I’m given with the many shades of black. 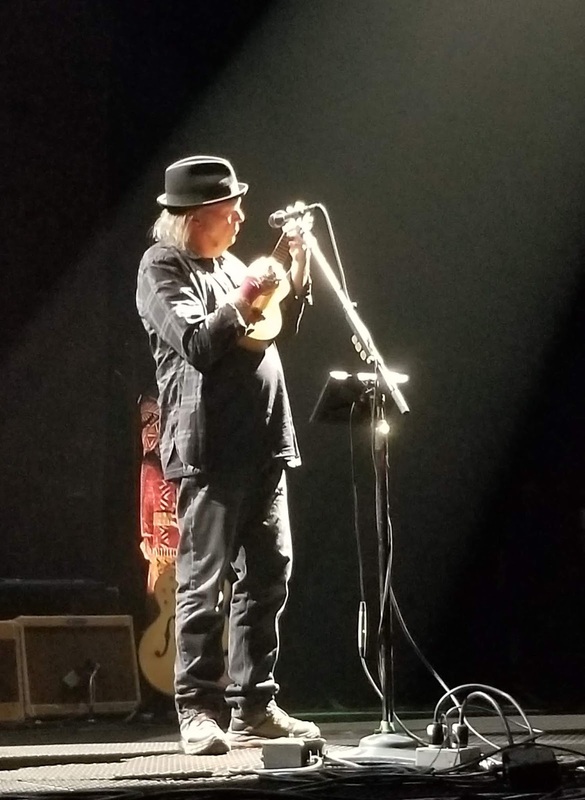 Also, see reviews of Neil Young's solo concerts at the Wang Theatre, Boston, MA, on Wednesday, July 11 and Thursday, July 12. There is a distinct pleasant Canadian tinge to William's evocative writing.. Interesting how the power of Neil's muse also translates to nations every where..